Evidence suggests that participation in physical activity may support young people’s current and future mental health. Although previous reviews have examined the relationship between physical activity and a range of mental health outcomes in children and adolescents, due to the large increase in published studies there is a need for an update and quantitative synthesis of effects. 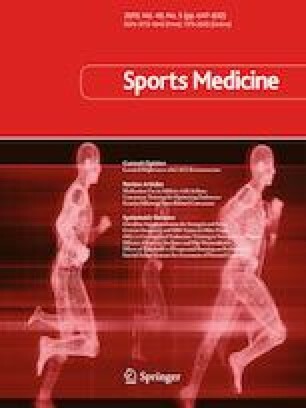 The objectives of this study were to determine the effect of physical activity interventions on mental health outcomes by conducting a systematic review and meta-analysis, and to systematically synthesize the observational evidence (both longitudinal and cross-sectional studies) regarding the associations between physical activity and sedentary behavior and mental health in preschoolers (2–5 years of age), children (6–11 years of age) and adolescents (12–18 years of age). A systematic search of the PubMed and Web of Science electronic databases was performed from January 2013 to April 2018, by two independent researchers. Meta-analyses were performed to examine the effect of physical activity on mental health outcomes in randomized controlled trials (RCTs) and non-RCTs (i.e. quasi-experimental studies). A narrative synthesis of observational studies was conducted. Studies were included if they included physical activity or sedentary behavior data and at least one psychological ill-being (i.e. depression, anxiety, stress or negative affect) or psychological well-being (i.e. self-esteem, self-concept, self-efficacy, self-image, positive affect, optimism, happiness and satisfaction with life) outcome in preschoolers, children or adolescents. A total of 114 original articles met all the eligibility criteria and were included in the review (4 RCTs, 14 non-RCTs, 28 prospective longitudinal studies and 68 cross-sectional studies). Of the 18 intervention studies, 12 (3 RCTs and 9 non-RCTs) were included in the meta-analysis. There was a small but significant overall effect of physical activity on mental health in children and adolescents aged 6–18 years (effect size 0.173, 95% confidence interval 0.106–0.239, p < 0.001, percentage of total variability attributed to between-study heterogeneity [I2] = 11.3%). When the analyses were performed separately for children and adolescents, the results were significant for adolescents but not for children. Longitudinal and cross-sectional studies demonstrated significant associations between physical activity and lower levels of psychological ill-being (i.e. depression, stress, negative affect, and total psychological distress) and greater psychological well-being (i.e. self-image, satisfaction with life and happiness, and psychological well-being). Furthermore, significant associations were found between greater amounts of sedentary behavior and both increased psychological ill-being (i.e. depression) and lower psychological well-being (i.e. satisfaction with life and happiness) in children and adolescents. Evidence on preschoolers was nearly non-existent. Findings from the meta-analysis suggest that physical activity interventions can improve adolescents’ mental health, but additional studies are needed to confirm the effects of physical activity on children’s mental health. Findings from observational studies suggest that promoting physical activity and decreasing sedentary behavior might protect mental health in children and adolescents. PROSPERO Registration Number: CRD42017060373. The online version of this article ( https://doi.org/10.1007/s40279-019-01099-5) contains supplementary material, which is available to authorized users. This work was part of María Rodriguez-Ayllon’s Ph.D. thesis (Biomedicine Doctoral Studies of the University of Granada, Spain). This review was supported by the Spanish Ministry of Economy and Competitiveness (DEP2013-47540 and DEP2016-79512-R), the European Regional Development Fund (ERDF), the European Commission (no. 667302) and the Alicia Koplowitz Foundation. In addition, this review was conducted with additional funding from the University of Granada, Plan Propio de Investigación 2016, Excellence actions: Units of Excellence; Unit of Excellence on Exercise and Health (UCEES), Junta de Andalucía, Consejería de Conocimiento, Investigación y Universidades, and the ERDF, (ref. SOMM17/6107/UGR). Cristina Cadenas-Sánchez and Fernando Estévez-López are supported by a Grant from the Spanish Ministry of Economy and Competitiveness (BES-2014-068829 and BES-2014-067612, respectively); Jose Mora-Gonzalez and Jairo H. Migueles are supported by the Spanish Ministry of Education, Culture and Sport (FPU14/06837 and FPU15/02645, respectively); and Irene Esteban-Cornejo is supported by a Grant from the Alicia Koplowitz Foundation. In addition, this work was further supported by the SAMID III network, RETICS, funded by the PN I+D+I 2017-2021 (Spain), ISCIII-Sub-Directorate General for Research Assessment and Promotion and the ERDF (ref. RD16/0022). María Rodriguez-Ayllon, Cristina Cadenas-Sánchez, Fernando Estévez-López, Nicolas Ernesto Muñoz, Jose Mora-Gonzalez, Jairo H. Migueles, Pablo Molina-García, Hanna Henriksson, Alejandra Mena-Molina, Vicente Martínez-Vizcaíno, Andrés Catena, Marie Löf, Kirk I. Erickson, David Lubans, Francisco B. Ortega and Irene Esteban-Cornejo declare that they have no conflicts of interest relevant to the content of this review. Murray CJL, Lopez AD, World Health Organization, World Bank, Harvard School of Public Health. The global burden of disease: a comprehensive assessment of mortality and disability from diseases, injuries, and risk factors in 1990 and projected to 2020: summary. Geneva: World Health Organization; 1996. http://www.who.int/iris/handle/10665/41864.